with the Development of Oil and Gas in Texas. Recent oil and gas development across the state of Texas has been an economic boon for many communities, businesses and private landowners. The continued exploration and development of these underground resources will play a key role in how Texas grows and prospers in the years to come. Proper planning can ensure that this development doesn’t compromise the rich and varied wildlife habitat and natural resources of our State. The development of emerging shale plays has had a profound influence on domestic oil and gas supplies, as well as our local, state and national economies. New and improved technologies enabling oil and gas operators to extract resources from shale and shale-like formations have created immense opportunities in mineral rich areas that previously were deemed to be inaccessible or uneconomical to develop. In places such as the Eagle Ford, many would also agree that the extraction of these important below ground resources may be pursued in ways, when practicable, that are compatible with the area’s vibrant wildlife and diverse wildlife habitats. Examples exist of efforts made by oil and gas companies in concert with private landowners, state and federal agencies, and other entities to accomplish that aim. An essential element in achieving that goal is to ensure that appropriate information is made available to those parties interested in balancing oil and gas development with conservation on their lands. The following voluntary conservation practices have been developed to offer guidance regarding how land stewardship and oil and gas extraction can co-exist. Recognizing that all lands and scenarios for development are not the same, this document does not include the entire spectrum of regulatory or management practices that can be used to eliminate or minimize adverse impacts to natural resources, grazing lands and wildlife habitat. These practices do, however, provide a basic foundation for landowners and operators to consider when attempting to balance the necessary development of oil and gas related infrastructure with a property’s unique or sensitive resources. Undertaking these voluntary practices underscores a commitment to strategic and thorough planning as well as responsible follow-through that will reduce immediate and long-term impacts to your land and all of Texas. Planning is the most important step landowners can take to minimize the impacts of oil and gas development on natural resources. It is critical that one prioritizes what is most important for one’s property and then makes sure that all planning, development, operations and reclamation reflect those priorities. Landowners should envision what they want their land to look like during the operation and after final reclamation. Since most oil and gas development is not permanent, sound long-range planning really matters. 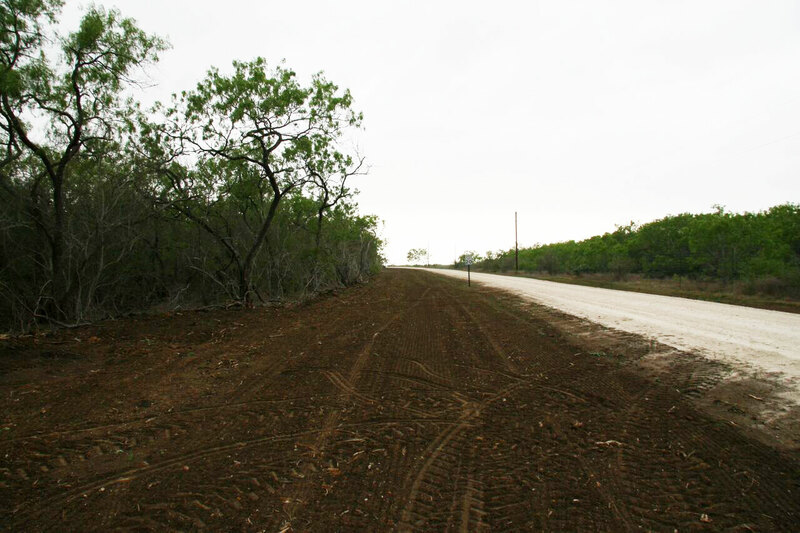 The placing of infrastructure such as well pads and roads is essential in minimizing the negative impact to grazing lands and wildlife habitat. Always remember the importance of protecting the topsoil. Infrastructure placement is of critical importance when developing a plan in coordination with the operator. Communication and planning are the key elements in a productive relationship with an operator. To the extent practical, every location, road, and water feature should be planned, including erosion control procedures. Before any exploration or extraction occurs, make sure the plan is in place and agreed to by all parties. If a landowner doesn’t feel that he or she has the expertise or time to be involved in the process, then an experienced professional should be retained to assist in all phases from start to finish. Most operators and companies have a deep appreciation and respect for the land, wildlife and natural resources of Texas. A robust planning process, accompanied by a well-developed surface use agreement and a commitment to active communication are important in balancing wildlife conservation, grazing programs and oil and gas development. The following voluntary practices represent ideas for landowners to consider when their property is being developed. Minimize habitat fragmentation by using existing roads and corridors whenever possible. Avoid or protect sensitive areas, seek qualified help identifying these areas and limit development and disturbance to agreedupon development corridors. Monitor surface and subsurface water quality. Prevent erosion and contamination of topsoil. Maintain soil structure and productivity by providing financial incentives for operators to install all needed flowlines simultaneously to minimize the mixing of soils. Structure financial incentives in the surface use agreement (SUA) to dissuade multiple disturbances to a single right-of-way. Prevent the introduction or spread of invasive and exotic plants. Use locally adapted native seed when appropriate to reclaim and revegetate sites. Conduct interim or temporary reclamation at all stages of development where practical. Plan operations to minimize impacts to traditional land uses during development. Use experienced professional natural resource and legal guidance to develop a SUA that clearly addresses the concerns and expectations of both the operator and the landowner. Put procedures in place to ensure the SUA and development plans are followed. Ask that operators include expenditures for habitat reclamation on the original Authorization for Expenditures (AFEs) for each well. Monitor reclamation and surface use activities to determine success, ensure compliance with the SUA and identify necessary corrective actions. Plan and monitor seismic operations to minimize impacts to natural resources and ranch structures. Make sure abandoned wells and well sites are properly closed, plugged and reclaimed. Develop provisions that address impacts such as noise, air and water quality, particularly with regard to sensitive areas and residences. Ensure flow-back water from fracking and produced water is either recycled or removed from the site and properly disposed as required by law. Know the landscape, wildlife and habitat characteristics of your property so you can avoid and protect sensitive areas. Identify the most important areas for wildlife and avoid or minimize impacts to these areas. The negative impacts of oil and gas development are directly related to the location of infrastructure in the vicinity of important habitat features. Specify preferred placement of pads, roads, pipelines, powerlines and water ponds. Request that operators minimize the size and density of those facilities. Use designs and locations that minimize negative impacts to the surface, existing vegetation and the natural landscape while also facilitating prompt, successful reclamation. Protect the soil whenever it is going to be disturbed by insuring that topsoil and subsoil are removed from the site, placed in different locations, labeled and replaced in the proper order during reclamation operations. Practice interim reclamation (restore as you go) and use locally adapted native seed for restoration. Develop a strategy to control invasive plant species introduced by equipment and contaminated material. Consider how development and reclamation will be monitored over the project life and determine how compliance issues will be handled. Seek knowledgeable professional advice and know your legal rights. Establish a single point of contact for the landowner and the operator to ensure good communication of concerns and expectations. The operator point of contact should represent the leaseholder and supersede all contractors. Locate fracking ponds in a way that takes advantage of natural features, minimizes soil erosion and provides lasting benefits to wildlife and livestock while also protecting sensitive habitats such as high quality riparian areas. Protect sensitive areas such as streams and unique plant communities by avoiding disturbance within or near these features, and when possible during pipeline construction or maintenance, bore under the feature. Control soil erosion at all stages of construction and development. Consider natural contours during construction and require procedures to maintain natural contours and drainages. Monitor these processes. Construct and operate with short-term, long-term and final reclamation goals in mind. Employ dust control techniques to minimize impacts to air quality. Consider aesthetics during construction whenever possible (meandering roads, paint infrastructure with natural colors, noise abatement strategies). Take critical steps to control the introduction of exotic/invasive plant species. Use the fundamentals of early detection and rapid control response if exotic/invasive plants are introduced. Minimize disturbances to your agricultural operations. Limit during times of the year when these activities would negatively affect traditional uses of the property, such as hunting, farming and livestock production. Request the operator to provide a gate guard to control access, minimize traffic and provide security during high traffic operations. Use single-lane roads with turnouts/bypasses to minimize the footprint of roads. Use “invisible” roads where applicable. Remove development infrastructure from the surface. Request re-contour of the site to pre-construction specifications to facilitate the return of the natural landscape. Control erosion, including removing, storing and labeling topsoil for future reclamation and vegetation re-establishment. Test the soil before attempting reclamation to ensure successful plant establishment is possible. Request interim reclamation of areas in and around roads, pads, pipelines and other infrastructure throughout development and production phases. Reseed with mixes of locally adapted native species. Order native plant seed mixes one year in advance to ensure availability. Control exotic and invasive plant species and monitor for desired results. Use annual cover crops for temporary erosion control. Measure reclamation success by plant establishment and survival, erosion control and water quality. Establish livestock grazing programs which permit proper establishment of reclaimed plant communities. 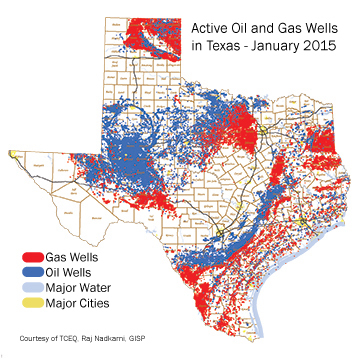 Ensure abandoned wells are properly plugged and pads reclaimed as required by law. Use locally adapted native seeds when appropriate to reclaim and revegetate sites. Conduct baseline and follow-up surveys to assess impacts. Identify monitoring procedures for adherence to the SUA, construction activities, reclamation results and potential problems with invasive plants or hazards to wildlife. Ensure that monitoring procedures and resulting data are used within an adaptive management context to allow landowners and operators to refine plans to adapt to changing conditions. Use remote monitoring where applicable to gauge production and reduce traffic. Create a simple, consistent and predictable monitoring plan with clear guidelines on “what, who, when and how” for use by both the landowner and the operator. Stay engaged and keep communicating. Establish a simple reporting system for compliance with the SUA and reclamation plan. Request quarterly or yearly reports. 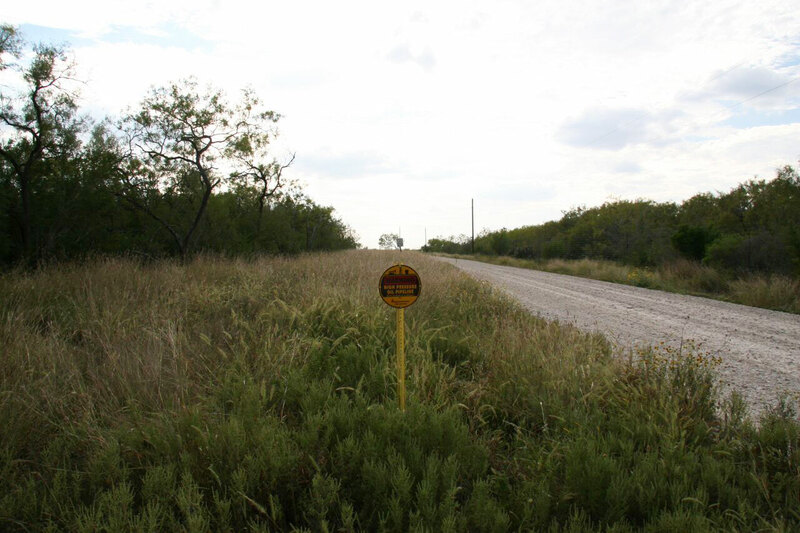 This pamphlet was developed by the Texas Parks and Wildlife Department's Private Lands Advisory Committee to offer additional information to consider when balancing oil and gas development and wildlife conservation in the important Eagle Ford Shale region of south Texas. Both the Committee and the Department would like to specifically thank representatives of oil and gas industry, Texas and Southwestern Cattle Raisers Association, Texas Wildlife Association, U.S. Fish and Wildlife Service, the Caesar Kleberg Wildlife Research Institute, Taking Care of Texas, and numerous private landowners who provided valuable comments and critical reviews to make this document useful.